Host your meetings, conferences or events at either of our three prestigious Manchester locations; King Street, Piccadilly Place or MediaCityUK in Salford Quays. Our conference and meeting rooms come fully-equipped with the technology you need for your presentation, as well as service support, and refreshments for lengthy room hire. This venue is bound to impress, with comfortable seating, adaptable set-ups, and AV equipment provided on request. If you're looking to hold a conference or meeting in Manchester, but don't have suitable facilities, our meeting rooms are ideal. Manchester has fantastic transport links for both international and national clients. 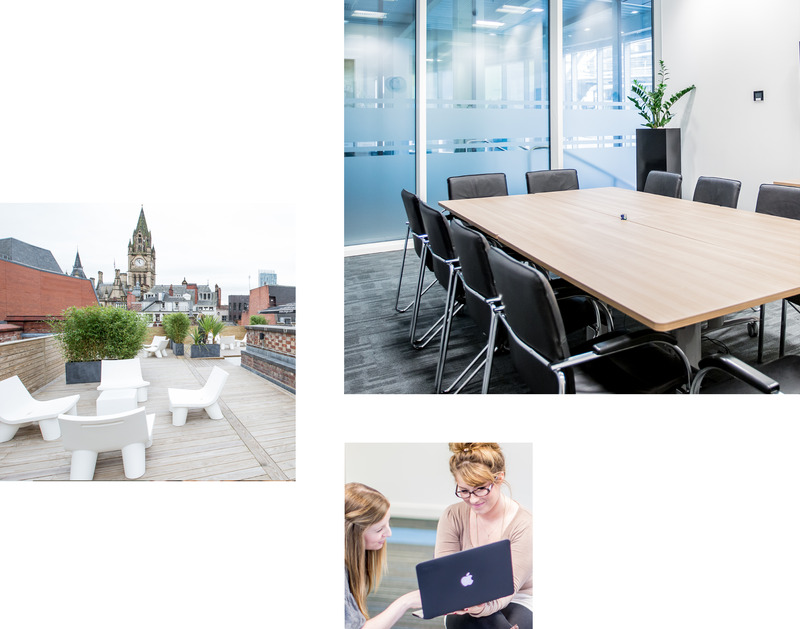 Whether you are holding a recruitment event, an industry conference or a business conference, Orega can provide the ideal meeting room or conference room within three thriving areas of Manchester.